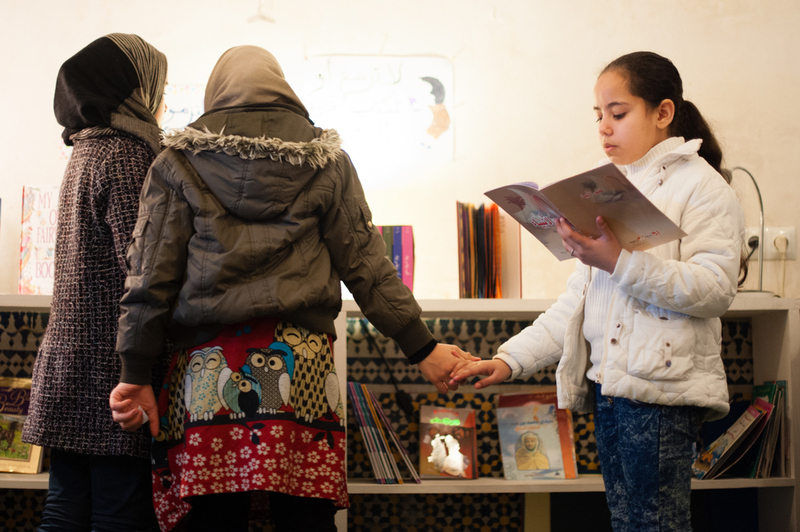 The Medina Children’s Library is a free, public library for children in the old city of Fez. 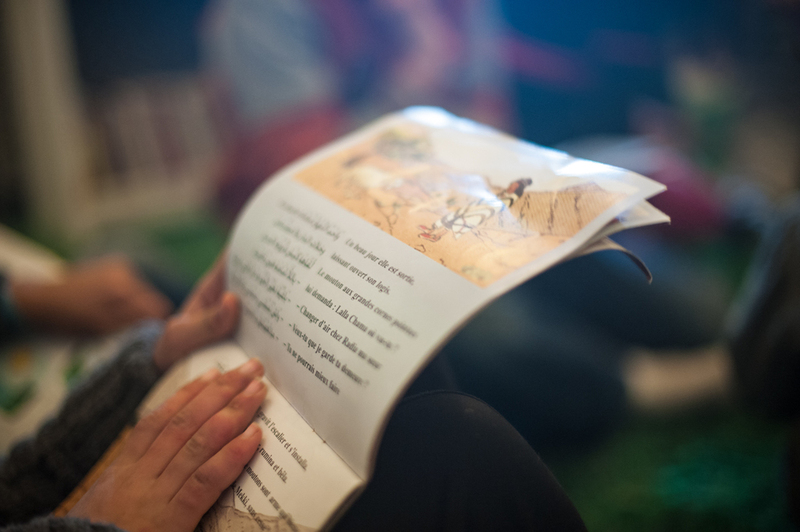 It was created by residents of the old city to provide children a space to discover books and develop a love of reading that they can carry with them for life. The library is managed by the Fez Association for Children of the Medina. The Association aims to support activities that improve the lives of children in the Fez Medina. Our first project is the Medina Children's Library. We plan to create activities for children involving culture, the environment and opportunities to do sports. The association is open to anyone interested in participating. We would be delighted to hear from you. Board members include Ms. Khadija Ghazi, educator and Arabic tutor; artisan plasterer Mohamed el Goutay and his wife Fatiha Ressame, pharmacist and mother of three; Frederic (Fred) Sola, husband of Cathy, former financier, and owner of Riad Laaroussa, a restored 17th century palace and working boutique hotel in the Fez Medina; Mohamed Baheddi, who is in sales and created a sports association for children in Fez; and Safae Lahjouji Driss, our principal Librarian (see more about Safae below). We, Kim, Cathy and Suzanna, are good friends who live here in the Fez Medina. We enjoy taking early morning walks together through the Medina and up the hill to and around the ancient Merinid Tombs that overlook Fez. We walk … and we talk! On one of our morning walks we began talking about our love of reading and realized that despite our diverse backgrounds (East and West Coast of the US and Australia) we all shared the common experience of growing up with wonderful libraries in our respective neighborhoods. This led to our talking about the fact that there were no libraries available for children in our Medina community. 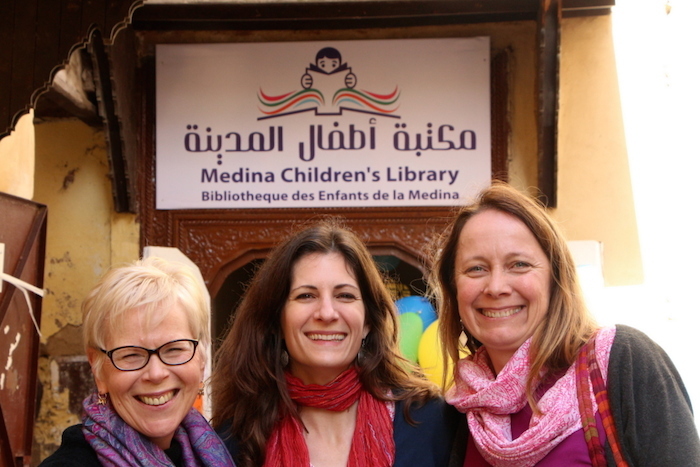 Why not help establish a free children’s public library in the Medina? And so the spark was ignited!! With the discovery of a wonderful little space for rent nestled on a small plaza near our homes we had the perfect location to launch the library. As word spread, the community responded with great enthusiasm with donations of books and services, helping to get the library ready to open to the public.! The Medina Children’s Library opened on January 21, 2015 and the kids have been delighted and passionate supporters of the project. There are lines outside of kids waiting to get in every day! Before moving to Fez in October 2013, Kim managed law firms in New York and Portland, Oregon for over 22 years, and later had her own management consulting business. She and her husband Barry Glick fell in love with Morocco while on vacation in the spring of 2013, so much so that after returning to the States they made the decision to sell their house and all their stuff, pack a few bags and relocate to Morocco. 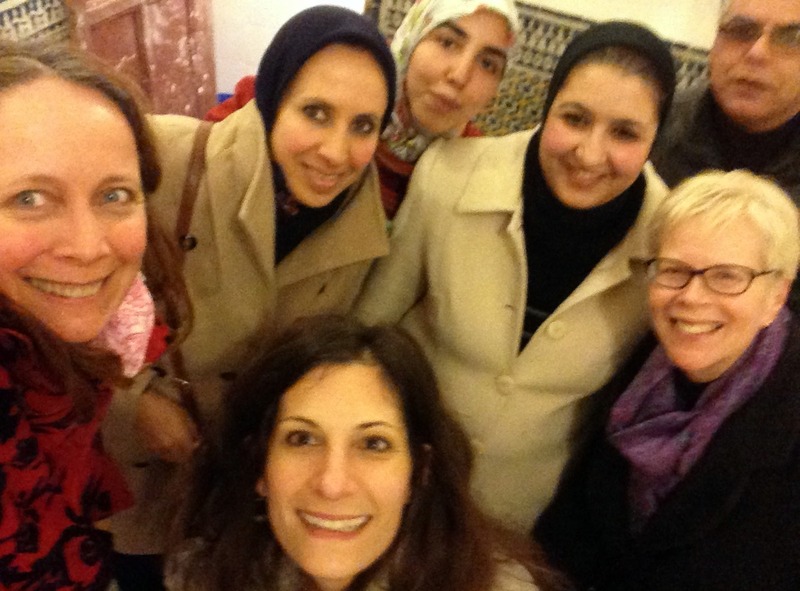 Cathy first came to Morocco as an exchange student from the United States. She fell in love with the people and the culture and came back to study Arabic. She later worked as deputy director of the Millennium Challenge Corporation in Morocco, an American foreign aid agency. She and her husband Fred Sola live in the Medina with their four young children, Nadim, Hilal, Ghizlane and Gaetan, where they also operate their boutique hotel Riad Laaroussa. Originally from New Zealand and Australia, Suzanna Clarke was a journalist, photographer and then Arts Editor on an Australian newspaper. In 2006, she and her husband Sandy McCutcheon bought a 400 year old riad in the Fez Medina. The renovation of the house and Suzanna's exploration of the culture and history of Morocco became the basis of her bestselling book, A House in Fez. Sandy and Suzanna run the English language blog, The View From Fez, and she has a vacation rental business in France. Un apres-midi d'été à notre petite bibliotheque.